I have created many guides for the Raspberry Pi as a media server, while the RPi mostly holds its own there are lags and freezes. I think people expect too much of the low-powered beast sometimes, after all it was created for learning programming and development – not media servers. I have looked for powerful Raspberry Pi alternatives, the Banana Pi got decent press so I chose to test it. I am primarily interested in the Banana Pi’s ability as a media server or NAS and its potential to serve data like media files to several clients. For media server purposes, SATA and Gigabit should mean significant throughput performance benefits over the Raspberry Pi mainly because the RPi’s 100Mbit network interface is shared with the USB interface creating a bottleneck. Here is a quick summary of the specs of the Raspberry vs Banana Pi, notably it has a faster processor and twice the RAM. The Banana Pro has the same specifications but has Wifi on board so these benchmarks should all be applicable for both Raspberry Pi Alternatives made by LeMaker. 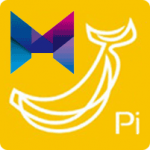 I used Bananian on the Banana Pi because it has the lowest memory footprint of the debian-based distros available. Xlight FTP server and Filezilla were used for FTP tests. Robocopy was used for copying from SAMBA shares. I set up an iperf server on a Windows machine and connected to via 100Mbit and 1000Mbit from the Raspberry and Banana Pi. The Raspberry Pi only has a 100 MBit ethernet port while the Banana Pi has a 1 Gbit ethernet port. 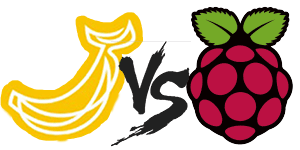 The Raspberry Pi scored 68 Mbit/s whereas the Banana Pi achieved 94 Mbit which is 1.38x faster over fast ethernet (100 Mbit capacity). 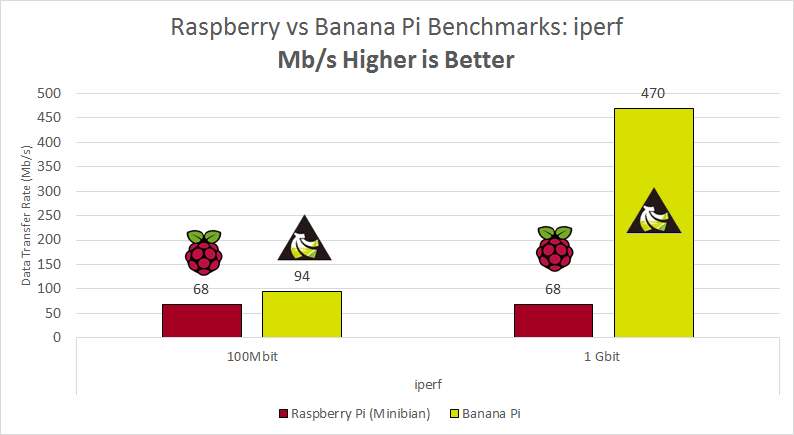 Performing the same test over gigabit ethernet, the Banana Pi scored an impressive 470 Mbit/s which is 6.91x faster than the Raspberry Pi. In this test, I used a 1GB.zip file obtained from thinkbroadband. vsftpd was used as the FTP server on both the Banana and Raspberry Pi. For the download test, the 1GB file was transferred from the mounted USB hard drive to a Windows machine across a 100Mbit and 1Gbit line. In the upload test, the 1GB file was transferred to the mounted USB hard drive from a Windows machine across a 100Mbit and 1Gbit line. Uploading via FTP to the Raspberry Pi measured 7.48 MB/s while the Banana Pi yielded 17.3 MB/s making the Banana Pi 2.3x faster if you are uploading data via FTP. Downloading via FTP from the Banana Pi yielded 27.4 MB/s while on the Raspberry Pi I got a flat 10 MB/s – the Banana Pi is 2.74x faster if you are downloading large files from FTP. Uploading 1 GB to Banana Pi SAMBA share took 38 seconds, transferring at 26.45 MB/s which is 3.5x faster than the Raspberry Pi. For FTP uploads via SATA the Banana Pi pulls 26.3 MB/s which is 1.5x faster than via USB. Compared to the USB transfer on the Raspberry Pi the Banana Pi is 3.5x faster! Uploading 1 GB to a SATA SAMBA share completed in 38 seconds, transferring at 26.73 MB/s which was not significantly faster than the USB SAMBA share. Downloading 1GB from a SATA SAMBA share completed in 39 seconds, transferred at 26.14 MB/s which was not significantly faster than the USB SAMBA share. These results suggest a SAMBA overhead bottleneck that does not allow the full throughput potential of the Banana Pi. 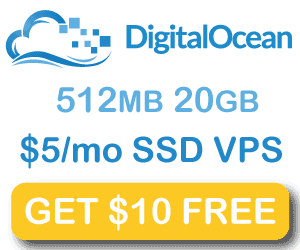 The SATA FTP benchmarks supplement this idea. The significance of SATA and gigabit ethernet are clear from the Raspberry vs Banana Pi benchmarks. You get up to 4.7 times the speed benefit when combining the power of SATA and gigabit on a Banana Pi compared to a Raspberry Pi when transferring via FTP. While SATA and USB speeds do not significantly differ over SAMBA, transferring over gigabit using the Banana Pi still provides 2.5 times the performance benefit. If you plan to use the Banana Pi to serve media files to XBMC clients, going with FTP over SAMBA seems like the wise choice. I have received an ODROID-C1 as well which unfortunately does not have SATA, instead it has eMMC modules which provide very fast speeds. eMMC is quite expensive though and not ideal as media storage so my tests will focus on USB transfer rates when I benchmark the ODROID-C1.